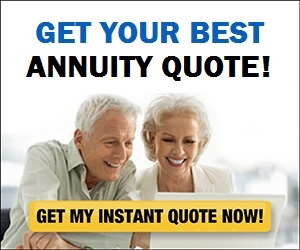 Real Deal Retirement » Blog Archive » Will an 85% Chance of Success Assure Me A Soft Landing In Retirement? 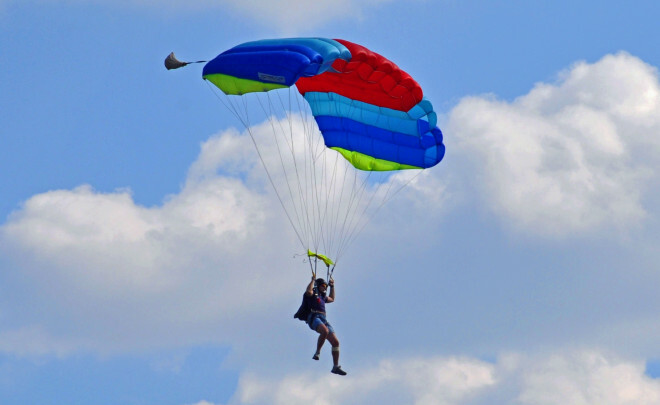 Will an 85% Chance of Success Assure Me A Soft Landing In Retirement? My financial adviser ran Monte Carlo simulations that say I have an 85% chance my retirement savings will last into my 90s. Is an 85% probability safe enough? The short answer is yes. Although there’s no official benchmark for the appropriate margin of safety, I think most advisers would say that an 80% to 90% probability of success is about right for most people. Fall below 80% and you could find yourself short on money later in retirement. Shoot for a higher chance of success than 90%, on the other hand, and you may be playing it too safe, which means you could end up sitting on a big pile of saving very late in life. That may not sound like a bad thing, but it could mean that you lived more frugally than you had to during your career and stinted more than necessary in retirement. In other words, you might have spent more freely and enjoyed yourself more in both your working and retirement years. That said, there are some caveats to the probability numbers that advisers generate with their retirement-planning software—or that you can get on your own from calculators like those in my Retirement Toolbox—you need to understand. One major caution: your chances of success can drop pretty dramatically if your nest egg’s value takes a sharp dive. Given the stock market’s recent volatility, that’s a possibility you definitely need to keep in mind. Before I get into the nuances surrounding these projections, however, I’m going to briefly explain what Monte Carlo simulations are so readers who may not be familiar with them know what I’m talking about. Named after the famed casino in Monaco, Monte Carlo simulations attempt to incorporate the variability of real life into financial projections. The adviser plugs in such information as how much you have saved, how much you’re saving on an ongoing basis (if you’re still working), how you invest that money, when you plan to retire, how much you plan to withdraw from your savings once you retire and how long you estimate you’ll need your savings to last. So, for example, if you’re 55, plan to retire at 65 and want your savings to support you at least until age 95, you would plug in all the information about your savings, investments and projected spending, the software would crunch the numbers and…voila! It will tell you the probability that your savings will sustain you to 95. If your savings are not able to generate the income you need to support your spending until age 95 in 15% of the scenarios the software runs, then your probability of success is 85%. If you run short in 30% or 10% of the scenarios respectively, your probability of success is 70% or 90%. The results you get when you run Monte Carlo simulations seem very exact, but remember: They’re long-term projections based on the assumptions you plug in. So they’re not as precise as they seem. No one really knows how the markets will perform over the next 10, 20 or 30 years. Or what inflation will do. Or whether you’ll be able to stick to your savings plan or face large unanticipated expenses in retirement (such as larger-than-expected health-care costs). Check Out: Should You Factor Social Security Into Your Portfolio? So you want to try to keep your assumptions as reasonable as possible—that is, no 10% or 15% annual returns or overly aggressive investment asset mixes, no unrealistic savings rates or a retirement budget that not even an ascetic could stick to. And you should think of the percentage chance of success more as a possibility than a guarantee. The value of these sorts of projections is that they give you a sense of how you might do under certain sets of assumptions. Just as important, you can see how your chances of success might rise or fall if you (or the markets) behave differently. Save more during your career, and you’ll see the probabilities rise. Likewise, if you tone down spending in retirement. Keep in mind too that the percentage probability of success that everyone focuses on tells you only whether you’ll be able to draw a given amount of income up to whatever age you plug in. It doesn’t tell you how much of your savings will be left at that point. So you may have an 85% chance of success and have $1 of savings left at age 95 in some scenarios. In others, you could have an 85% chance of success and still have nearly as much money as you started with at retirement, or more. That’s important to know because you’re probably better off spending more earlier in retirement than ending up at an advanced age with a huge savings balance, unless you’re really set on leaving a big stash to your heirs. You need to be especially careful if your portfolio’s value takes a large hit, especially just before or early in retirement. For example, a 65-year-old who plans to follow the 4% rule—that is withdraw 4% of his nest egg’s value initially and adjust that amount annually for inflation—could easily see the chances of his portfolio lasting 30 years drop by 25%, if his portfolio’s value took a 20% dive on the eve of retirement. The reason is that the combination of the investment loss and withdrawals would so deplete the value of the portfolio that it can’t recover sufficiently even when the market eventually turns around. Given how much your probability of success can fluctuate for any number of reasons, you should have your adviser re-run the simulations—or re-run them yourself—every year or so, using more current information about your age, savings balances and such. You don’t have to alter your plans if your odds of success rise or fall just a bit in a given year. But if you notice that the probability has been trending steadily downward over time—or has suddenly plunged in the wake of a severe market downturn—then you want to re-examine what you’re doing and make adjustments to get back on track, such as saving more if you’re still working or paring your spending for a while if you’ve already retired.